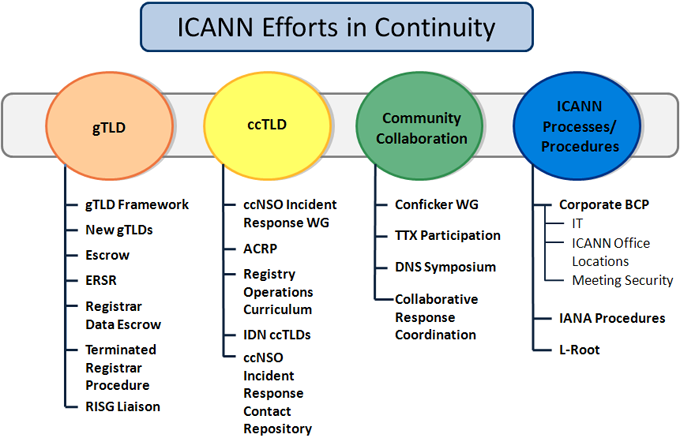 This is an information area on ICANN's efforts related to continuity & contingency. This page provides a cross-functional and cross-community view on this area. Further information will be added with links to particular subject areas identified on the image below.